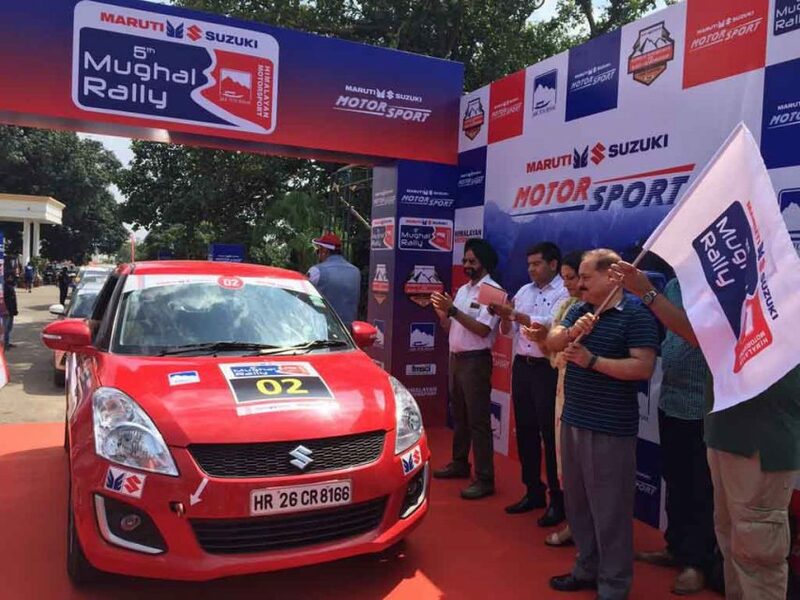 Maruti Suzuki has flagged off the ‘Mughal Rally’ from Jammu. The rally marks the fourth round of the Maruti Suzuki FMSCI National Super League TSD Rally Championship 2016. More than 50 participants have taken part in the rally. Among the teams 15 comes from Jammu & Kashmir alone. The teams from Jammu Kashmir include the Backyard Customs as well. 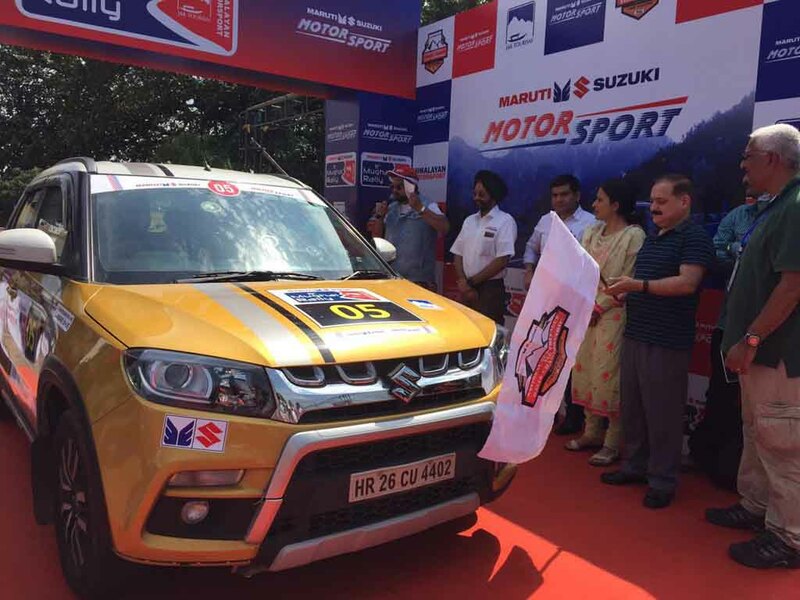 Among the participants are ace rallyist Karthick Maruthi and his navigator S. Shankar Anand. They are driving their Maruti Suzuki Vitara Brezza to defend their lead in the Maruti Suzuki National Super League TSD rally championship. They are being closely followed by Jagmeet Gill & his navigator Chandan Sen. The rally will end in Jammu before crossing several picturesque locations in the state. The Maruti Suzuki NStsd Rally Championship is open to all four wheeler makes. The participants can take part in the rally without making any modifications to their cars. The rally follows Time-Speed-Distance (TSD) format, which is a highly recommended rallying format. This format tests the skills of driver and the navigator alongside throwing the challenge of adventure sports. Maruti Suzuki is the largest carmaker in India. Alongside the company is at the forefront, when it comes to patronizing the motorsports. It organizes some prestigious rally championships like Raid de Himalaya, Desert Storm, Dakshin Dare etc. It will be followed by the Rally of Gujarat and Rally in Arunachal Pradesh to mark the completion of the Maruti Suzuki National Super League TSD Rally Championship 2016. 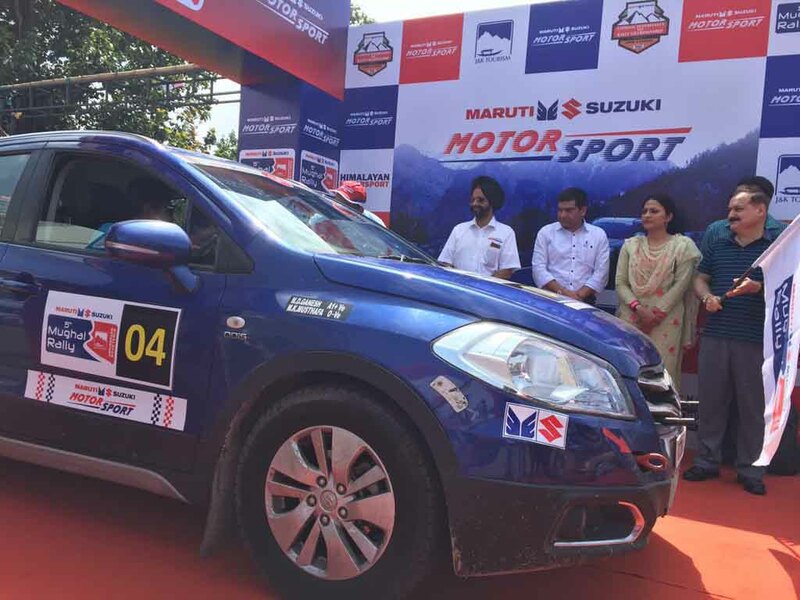 The Maruti Suzuki National Super League TSD Rally Championship combines a total of 6 rallies across the country. It is recognised by the Federation of Motorsport Clubs of India (FMSCI). Talking about the Maruti Suzuki ‘Mughal Rally’ Mr. Vinay Pant, the Assistant Vice President, Marketing, Maruti Suzuki has said, the company has already seen positive response in the previous three rounds of the rally championship in Uttarakhand, Pune and Ooty. Now the company is foreseeing even better response in the ‘Mughal Rally’.